You probably hide Easter eggs better than you hide your valuables! If you’re going to hide your golden goods, make sure you keep it somewhere really safe! Over the Easter period last year there was 35 crimes alone that affected properties in your area. Not only are Authorized Access an MLA (Master Locksmiths Association) and UKLA (UK Locksmiths Association) approved company and have been established for over 30 years. They are also our Sister Company who specialise in the Locksmith industry. From having extra Keys being cut – installing Automated Gates they have you covered. Carry on reading to find out why it is so important to get the correct Safe for your needs. You may have the mind set ‘it won’t happen to me’ but the truth is that burglaries and cases of fire are happening to people and businesses day in and day out . If you are covered by insurance, you will protected against most types of loss, sometimes the most important documents that have took a hit often cannot be replaced and insurance is, therefore incomplete protection. 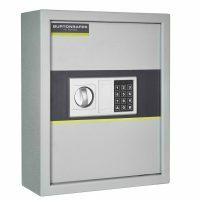 There is a vast range of safes available on the market, and selecting the right one can make a change to the level of security you achieve. For example, Data Safes and Document Safes have an intended purpose, which are usually security in a commercial setting. Whereas, Cash Rated Safes are appropriate to either the home or the office. Our job is to make sure you select the most appropriate safe for your needs. 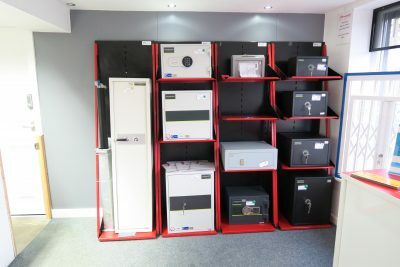 To determine what kind of safe is most appropriate for a Commercial or Domestic property, contact Authorized Access and our fully trained staff will guide you through the selection process and book in a visit to provide a free, no obligation survey and quotation. Be smart this Easter get protected and feel safe knowing you are protected by the North Wests Complete Security Solution! Give Authorized Access a follow on Twitter to keep up to date with what they are doing. Click on the Safe to look at what they can offer you!